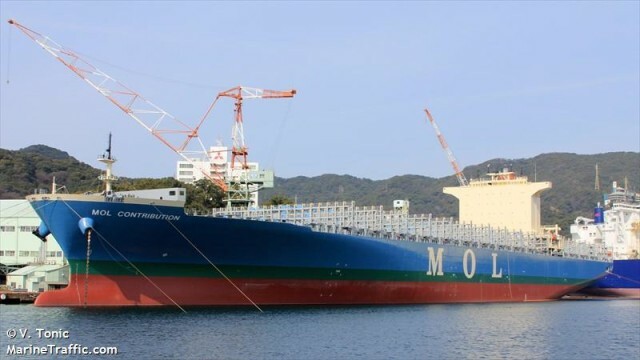 The 316 meter long, 90000 dwt container ship MOL Contribution caught fire while berthed in Oakland, California. The fire started in the upper decks inside the third officer’s cabin. Local firefighters were requested and were able to extinguished the blaze in the narrow passageways. No reports of injuries to the 20 persons on board. The MOL Contribution sustained smoke and fire damage to its superstructure including the officers sleeping quarters. Reports state the fire started when an electrical equipment overheated. The MOL Contribution was being loaded for a voyage to Hong Kong. The Coast Guard has launched an investigation into the incident. 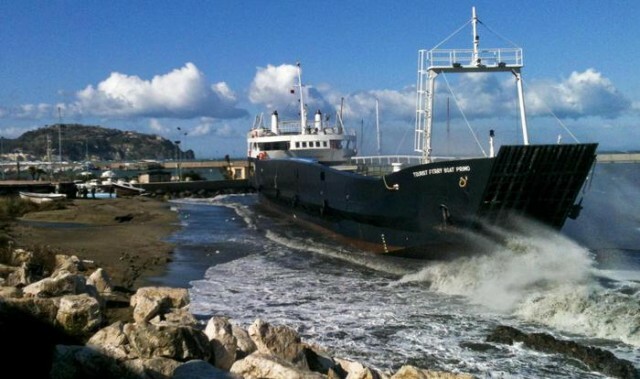 On February 9, the 83 meter long ro-ro passenger ferry Tourist Ferry Boat Primo ran aground in the Tyrrhenian Sea on Ischia Island, Italy. 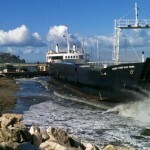 The vessel had departed from Casamicciola with 8 fuel-trucks and drivers with 7 crew. 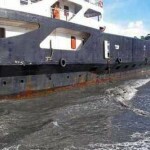 The ferry was blown ashore after suffering engine problems. 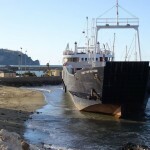 A tug was dispatched and attempted to pull the ferry off the beach without success. The Tourist Ferry Boat Primo was released a few days later. No reports of injuries, damage or pollution released.